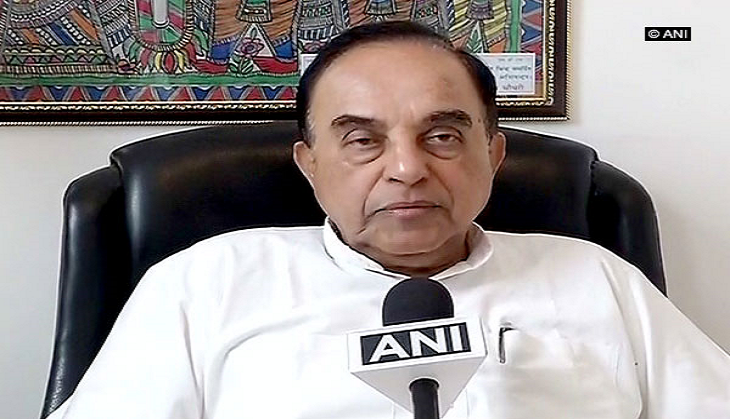 Day after a special Central Bureau of Investigation (CBI) court slapped charges against party veterans Lal Krishna Advani, Murli Manohar Joshi, Uma Bharti and nine others accused in the Babri Masjid demolition case, Bharatiya Janata Party (BJP) leader Subramanian Swamy asserted that all accused are still innocent unless proven guilty and convicted. "They are still innocent unless proven guilty and convicted. In my opinion there is no case, because it's based on the idea that the Babri Masjid was demolished because of the conspiracy of these top leaders. But what was demolished was actually a temple. Because there was no Namaz read for the very long time in that Masjid," Swamy told ANI. On 30 may, all the accused were granted bail by the Special Central Bureau of Investigation (SBI) Court in Lucknow. However, the court rejected the discharge petition and said charges would be framed against them. The mosque was demolished by Hindu Karsevaks on 6 December 1992 in Ayodhya. The country witnessed massive riots in which over 2000 people were killed. Two FIRs were filed after the disputed structure was demolished- Crime no. 197 deals with actual "demolition of the mosque by karsevaks." Crime no. 198 named L.K. Advani, Murli Manohar Joshi and others for 'communal' speeches before the demolition. The Hindus claim that it is the birthplace of Lord Rama where a mosque was built in 1528-29 CE (935 AH) by Mir Baqi. Since the mosque was built on orders of the Mughal Emperor Babur, it was named Babri Masjid. Before it was demolished in 1992, the Nirmohi Akhara had forcefully occupied the Babri Masjid in 1853 saying it was Ram Janmabhoomi (Birth place of Lord Rama).